Yesterday was a journey of steps, steps and more steps. And Bernie and I are discovering the difference in young legs and old legs! 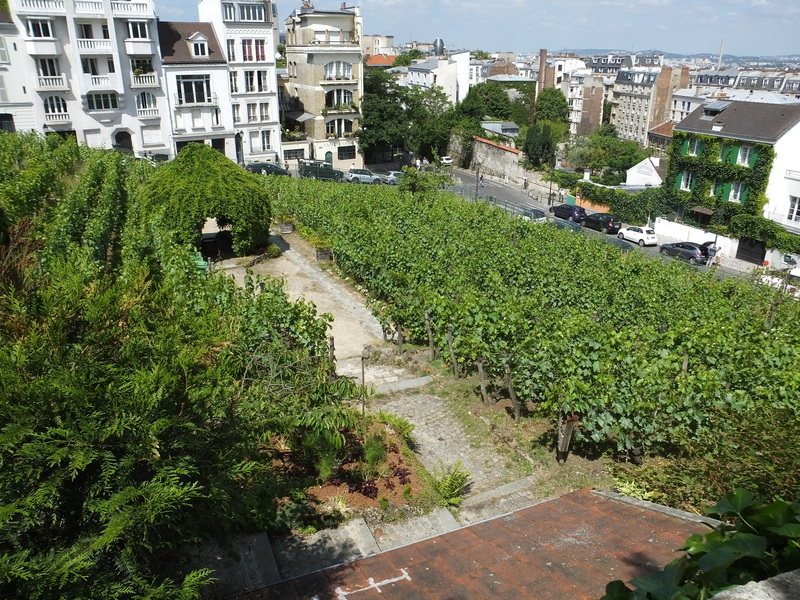 Climbing almost 600 steps in this heat was a bit of a challenge but we made it to the top of the highest “butte” in Paris…the beloved Montmartre area. The only disappointment of the day was the hour-long (plus) line in the hot sun to get into the Sacre Coeur, the beautiful white basilica that rises into the sky like a vanilla ice cream cone. Security has changed everything. It used to be that masses of people could approach the wide spray of steps up to the church through multiple entrances, but now there is one secure line where all bags have to be checked. Imagine what that’s like on a beautiful Saturday in June when the city is full of tourists. The grandchildren were disappointed but in agreement that the hot sun was not our friend. We opted instead to walk around in some of the lesser touristy areas, and I shared with them my absolute favorite view of Paris on the back side. If I could own an apartment, this is where I’d choose. 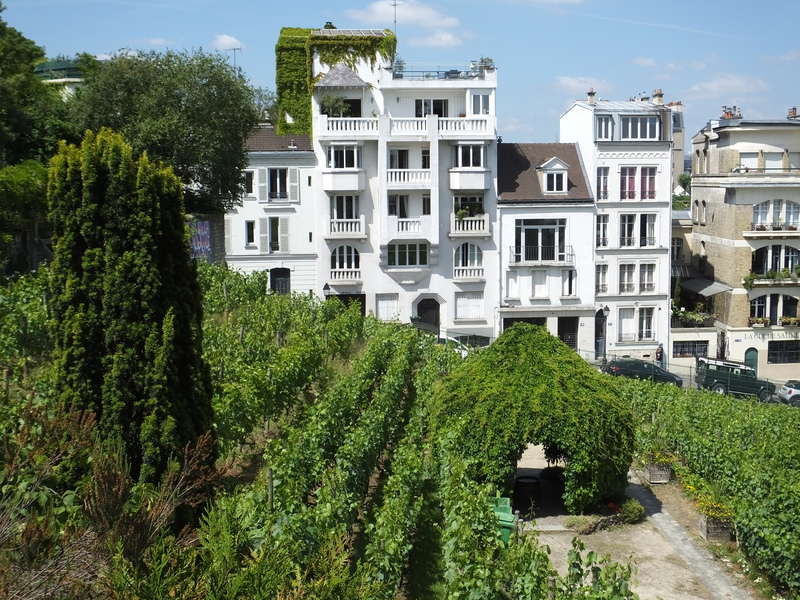 Then we did something that Bernie and I have never done…visit the Montmartre Museum and Renoir Gardens! It was just magnificent, and I was thrilled to watch my granddaughter, only 10, get so interested in listening to every one of the audio tour selections. We lost Bernie at one point creating a bit of a panic for me only to find him sitting alone in the lower garden area looking at the vineyards and enjoying peace and quiet in such a serene spot. The museum is very affordable and has an expertly done film about the history of the area. Just fabulous! 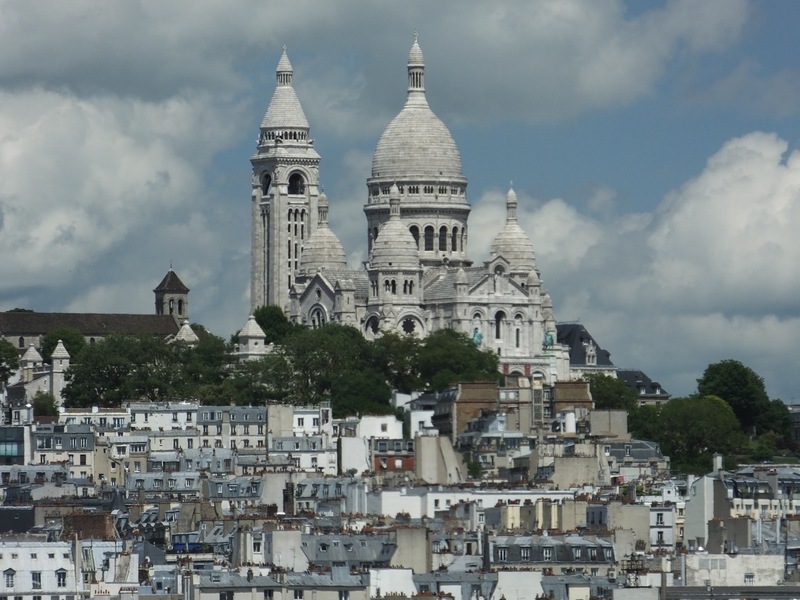 Montmartre went from a working class mill community to the artistic and Bohemian center of Paris. It gave us the windmills, the cabarets, Le Moulin Rouge, the circus, and early cinema. 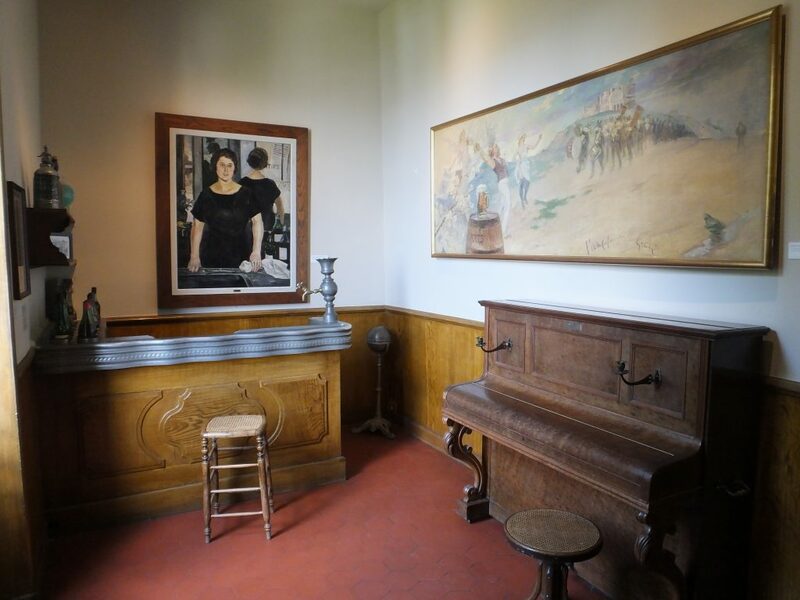 Artists lived and worked in the area of the museum…Renoir, Utrillo, Suzanne Valadon, Picasso, Toulouse-Lautrec. 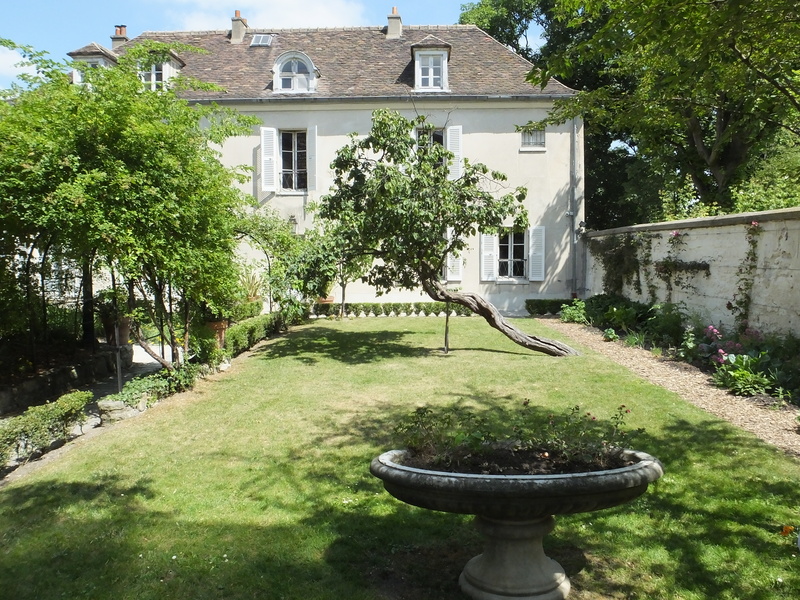 One point made in the experience was that Montmartre was and still is a very tight-knit community. 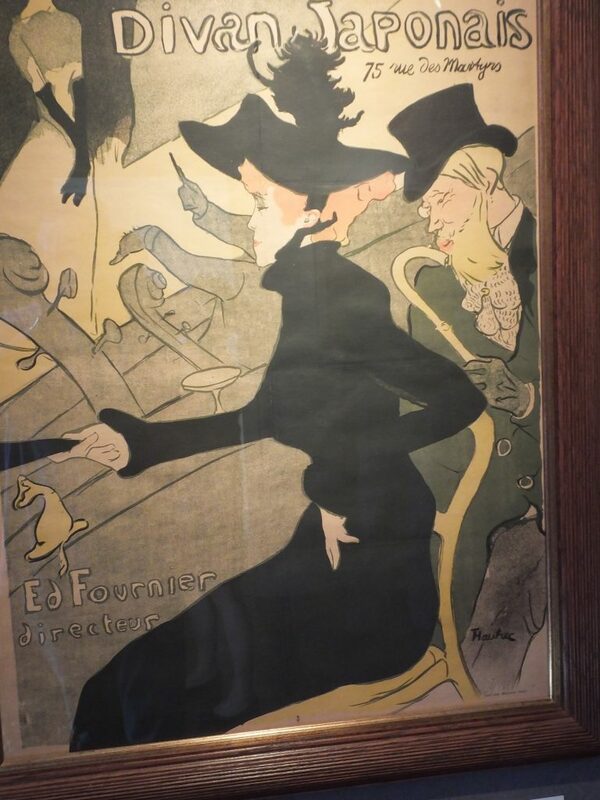 Visit the Musée de Montmartre if you are ever in Paris. The beautiful vineyards of Montmartre, the only ones remaining in Paris. You can only enjoy this view from inside the museum gardens. Wine is still produced every year, and we attended the wine festival in October, 3 years ago. 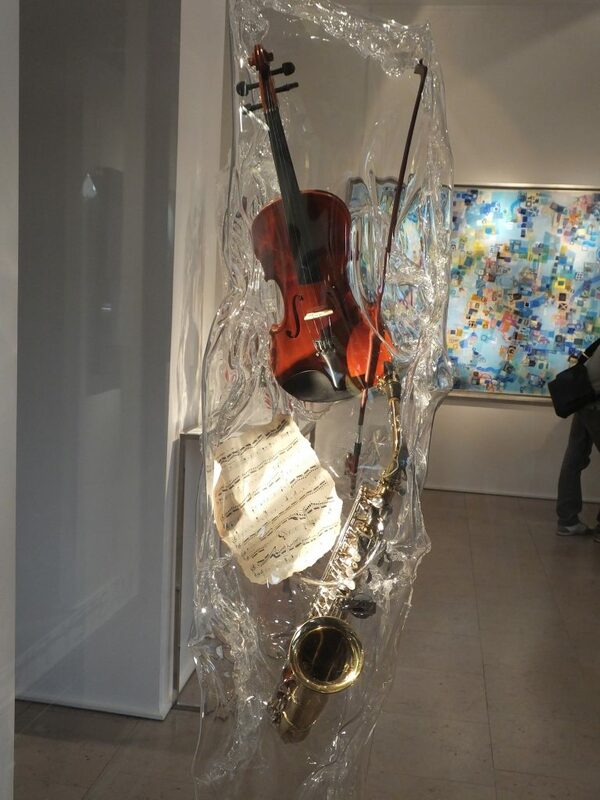 Relics from some of the cabarets. The most celebrated cabaret, the Chat Noir (the black cat) welcomed several performances of the Theatre d’ombres, shadow theatre, created in 1866 by Henri Rivière and Henry Somm. 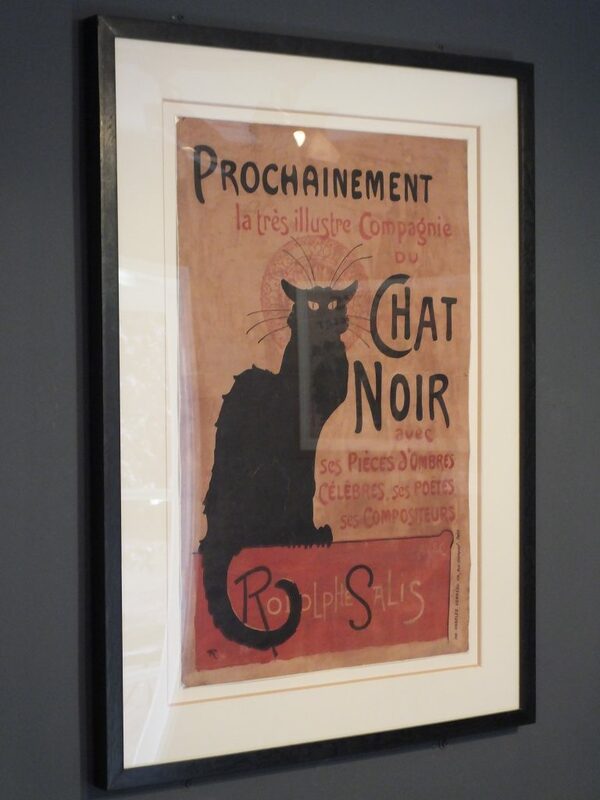 This immortal image of the black cat is still an iconic symbol of Paris! 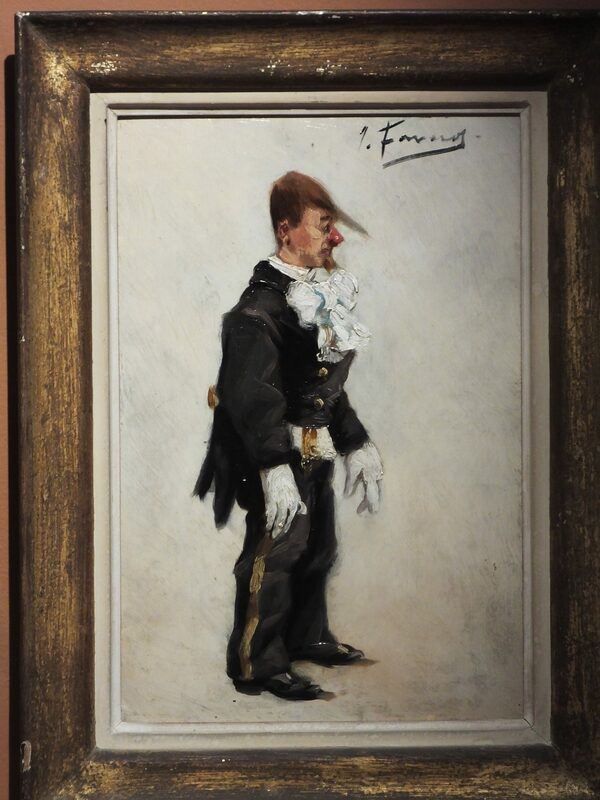 An image of circus days with the clown. 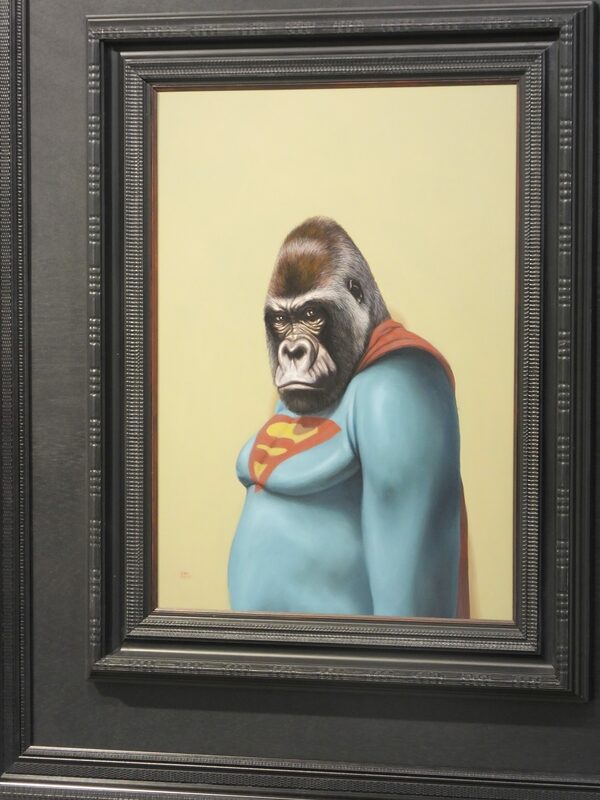 Sorry, can’t remember the painter. 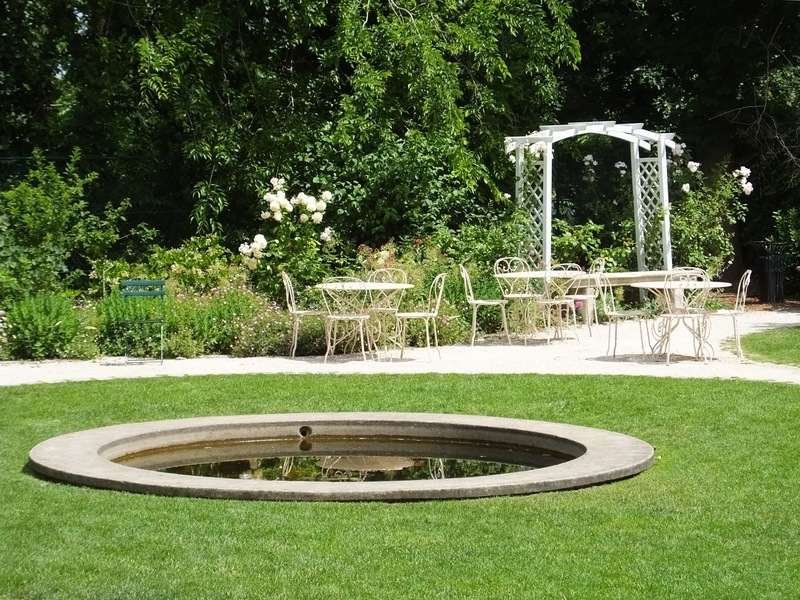 More of the garden offering a peaceful café with light fare. 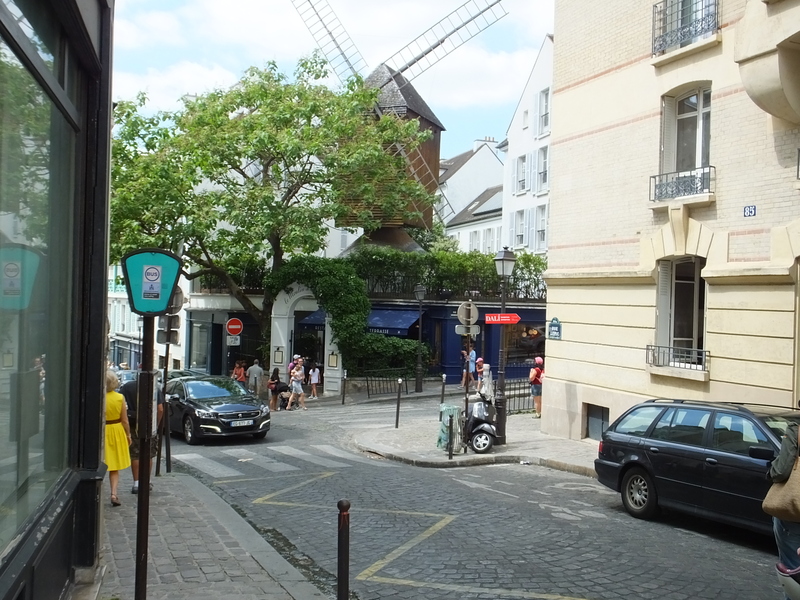 Our jaunt down the mountain was via the street which showcases the very famous restaurant “Le Moulin de la Galette” or The Windmill of the Pancake. 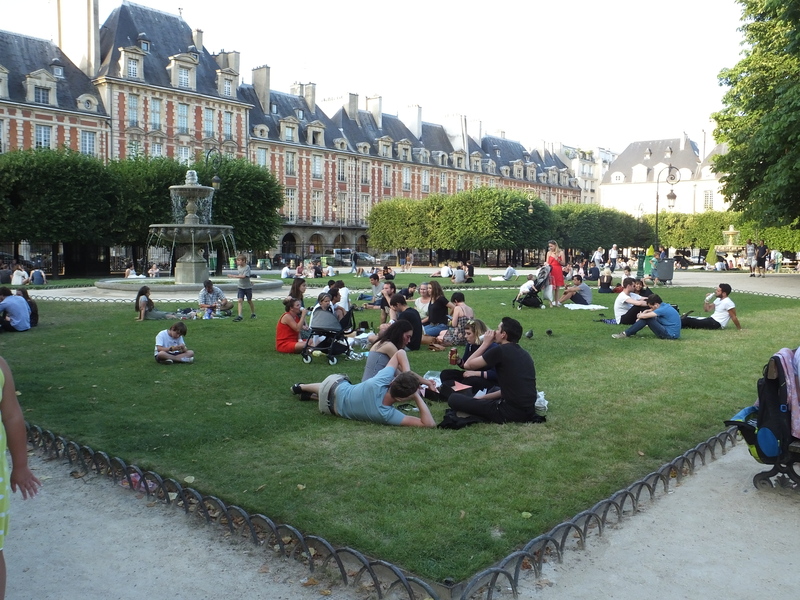 After an eat-in dinner off the street of roasted chicken and potatoes, we took a spin through La Place des Vosges. 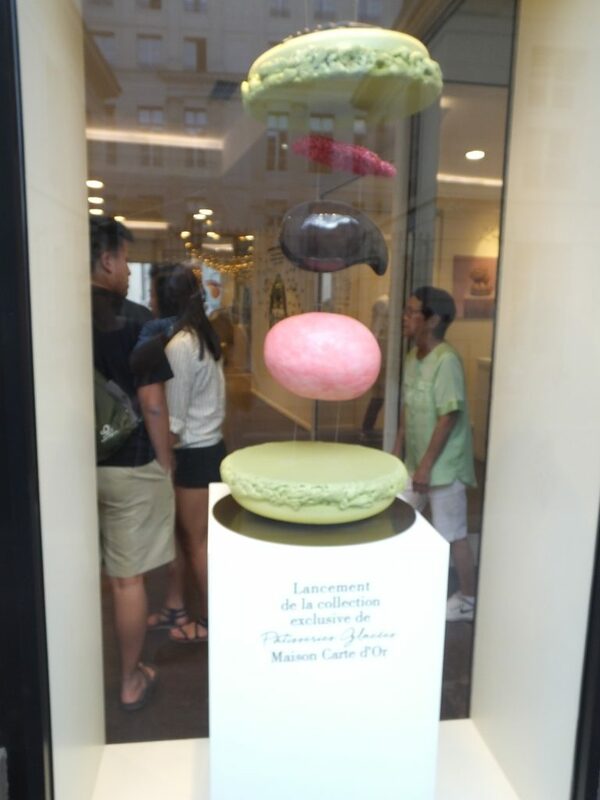 Enjoy the pics of the area and its art galleries. 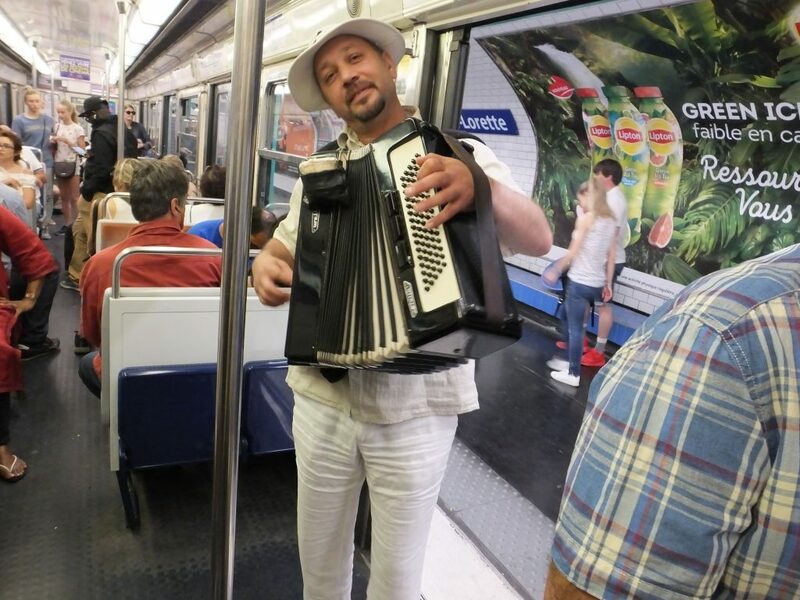 And finally, the “Purely Paris” photo of the day has to be the accordion player on the subway ride to Montmartre, fun for the kids who rewarded him with a few coins after his performance. P.S. 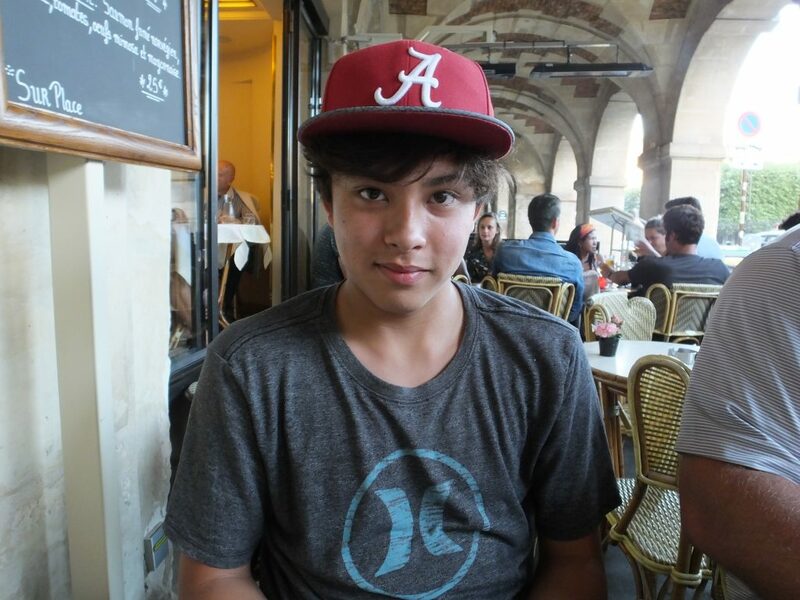 Andrew’s goal is to find another Alabama fan in Paris, thus the cap! 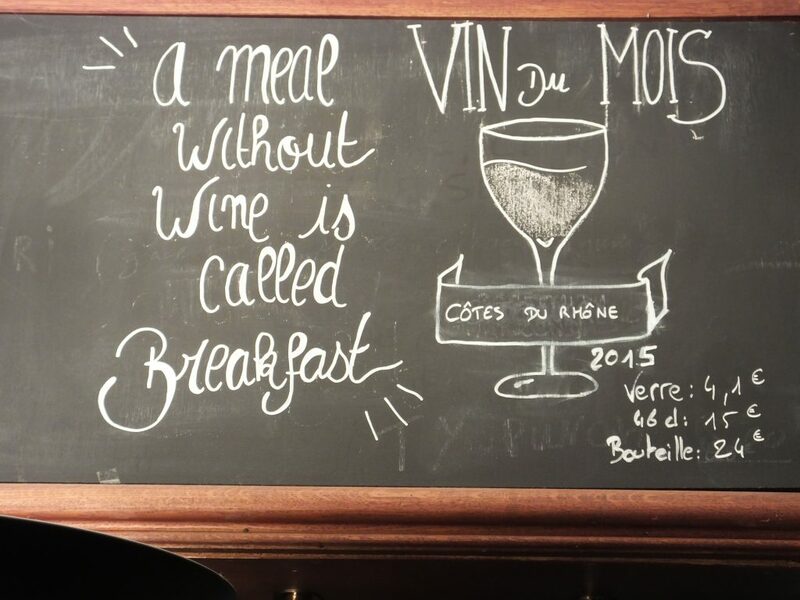 Bonjour and merci for another beautiful post and photos! 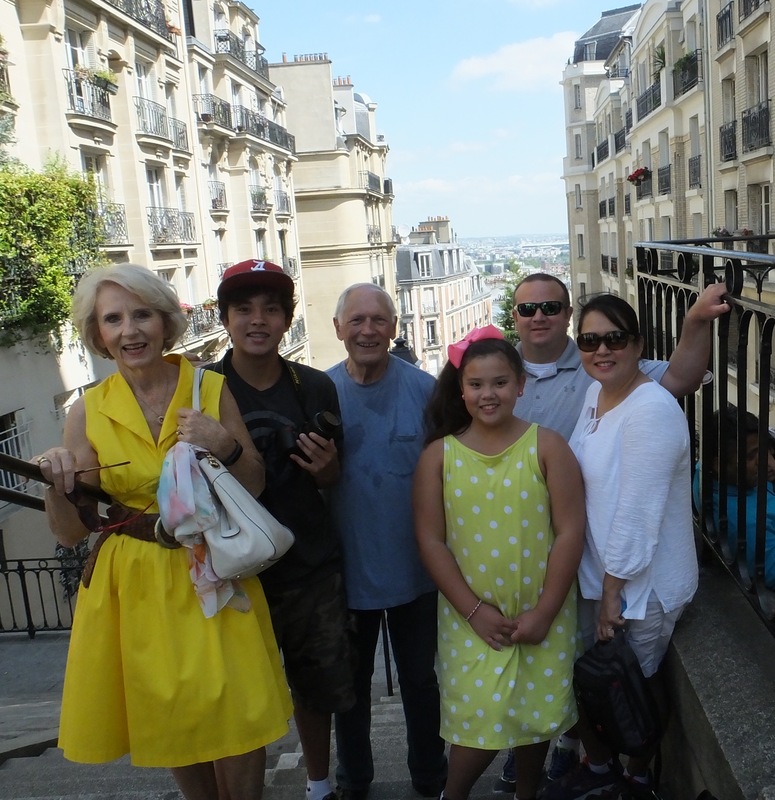 Well done to toute la famille for the Montmartre steps 🙂 and love the family photos. Waving from not too far away and wishing you all bon dimanche à Paris! We are off to the Sunday Bastille market. Bonne journée! Your family photos are gorgeous. I am enjoying the larger pictures very much. Thanks for sharing. thank you Linda and Bernie for the tour today. great pics. love seeing your family there. It’s high 80’s so pretty miserable. Not a cloud in the sky which is great in a way but most uncomfortable sometimes. It zaps everyone’s energy pretty quickly. Surely Andrew will find one! Oh my goodness! This is so far my favorite post. Once again the photos were wonderful! 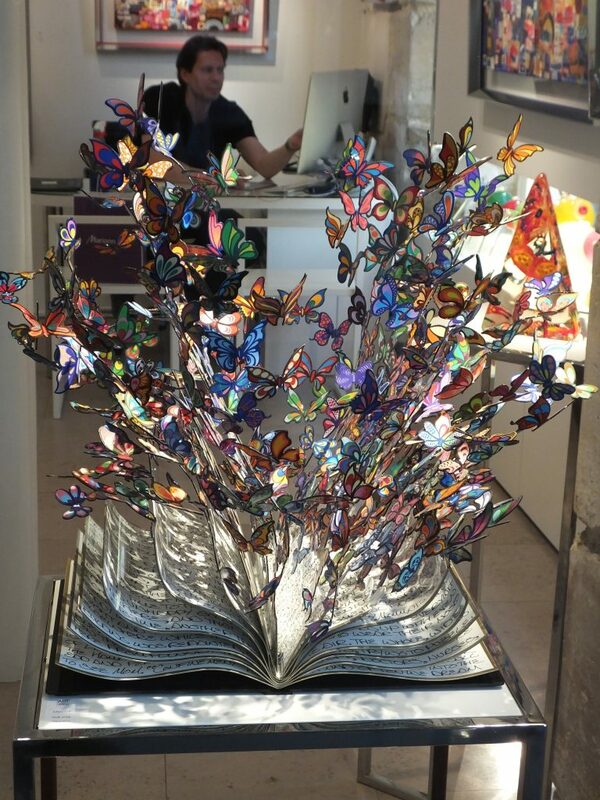 My favorite is the book that appears to have butterflies escaping from it.